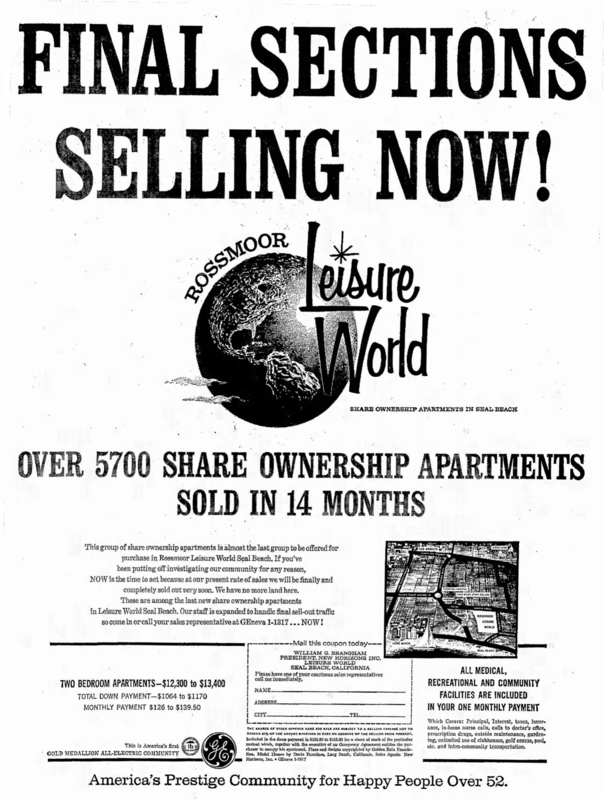 On this date in 1963, the following ad ran in the Long Beach Independent for Rossmoor Leisure World. This entry was posted in Seal Beach History and tagged 1963, Leisure World, Rossmoor, Rossmoor Leisure World, Seal Beach, Seal Beach History, Seal Beach Leisure World. Bookmark the permalink.